Randall Sherman is the founder and president of NVR and has more than 25 years experience in marketing of high technology electronics products, as well as a background in design and deployment of advanced, new products. He has been a founder of three start-up companies and regularly consults with many OEM and emerging firms in their product and business development strategies.Mr. Sherman began his career as a Network Design Engineer for Honeywell Corp. designing wide-area voice and data telephony networks for state and local governments. This later led to an opportunity to become a founding partner in a start-up firm, Lexicom Microsystems Inc., where he helped to launch and market a new networked electronic mail product. Mr. Sherman later became a consultant in the fields of market research and management consulting services to such firms as Creative Strategies Research International, Dataquest, Input, Frost and Sullivan/MIRC and BIS Strategic Decisions. He subsequently became President and CEO of Lucid Information Services, a technology research consulting firm which specialized in providing legal, technical and marketing research support services to a wide variety of technology firms. Mr. Sherman sold the company to Failure Analysis Corp. and founded his own independent consulting practice, New Venture Research Corp., to focus on new product market research, due diligence and business development related services.Mr. Sherman performed his undergraduate work in Astrophysics and obtained a Masters of Science in Electrical Engineering from the University of Colorado and an MBA from Edinburgh School of Business, Edinburgh, Scotland. 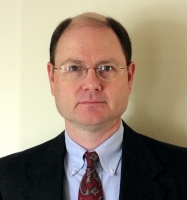 Jerry Watkins is an independent senior analyst with more than 17 years of experience in the field of market research and consulting. He has worked for leading research companies such as Frost & Sullivan, Lucid Information Services, and NSI Research both in management and as a writer. Mr. Watkins has authored many syndicated reports, previously in the telecommunications sector and more recently in the computing and merchant embedded computing industry. He holds three university degrees including a B.A. in History, as well as a M.A. in International Studies. Jeremy VanselousJeremy Vanselous is the President & CEO of The SearchWorks Group, a niched Executive Search Firm dedicated to the EMS Industry. After joining The SearchWorks Group in 2008, Jeremy quickly leveraged his 16+ years of experience in the EMS Industry to become one of the country’s most sought after recruiters in his space. Having come from the industry (former Solectron), he is able to quickly relate and understand a client’s needs and bring forth ideal candidates. Jeremy has focused intensely upon building and strengthening his network of EMS professionals so he may quickly connect with those industry leaders who will mutually benefit from his client’s needs. His professionalism, knowledge, urgency and quality are routinely praised by the clients and candidates he serves. As a result of his work, Jeremy has received repeated PACESETTER awards within the Global MRINetwork, representing the top 5% of recruiters worldwide. Additionally, Jeremy has provided numerous articles to industry publications on the topics of Hiring, Retention, Recruiting Strategy and Employment Outlooks. He has presented to the IEEE on the topic of counterfeit components and is an Inventor – US Patent No: 7,162,278 for securing wireless handsets for the Transportation and Public Safety markets. Vivek Sharma is a research analyst with more than 9 years of experience in the field of market research and consulting. 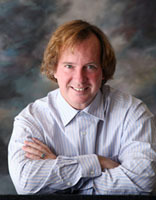 He has worked for leading research companies such as Willis, Gridstone Research, Adventity, etc. as a senior analyst and in team leader positions. He is an expert in business database and secondary research, and has extensive experience in the electronic manufacturing industries. Vivek has more than decade of experience into business, industry and market research and has completed a Masters of Business Administration (MBA) from ITM University in India. Vivek has managed numerous quantitative and qualitative marketing research projects focusing on electronics manufacturing and channel distribution involving a number of countries worldwide. He also has experience in property and casualty insurance, solar energy, electronic OEMs in the consumer and information industries. 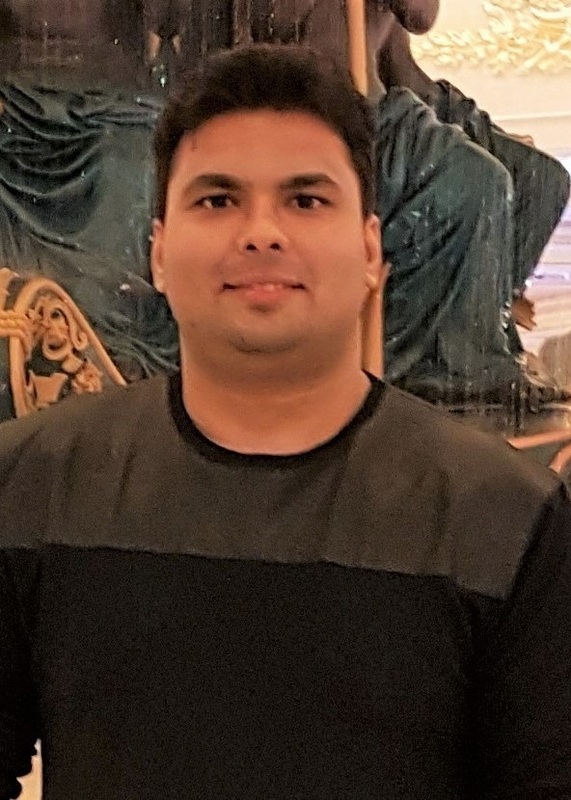 Vivek has worked for NVR as an independent analyst for the last three years, but also produced research for numerous publishing houses, technology consultants, Internet start-ups, small businesses and eCommerce websites. Frank Klomp is the principal consultant of Alerta Marketing Intelligence, a research based consulting firm, located in Eindhoven, the Netherlands, a major high technology center in Europe. He specializes in creating marketing intelligence, enabling marketing strategies and business development of high tech companies and contributing to open innovation platforms. Mr. Klomp previously held senior marketing intelligence positions at Assembléon, formerly Philips Electronic Manufacturing Technology, and other divisions of Philips Electronics. He emphasizes the importance of qualitative information to support effective decision making processes, and is strongly focused on global venture studies, including turnkey & contract manufacturing, joint ventures and strategic alliances in emerging markets. Mr. Klomp has 20+ years of experience on the client side, creating visions about business models and value propositions, proactively informing and advising decision makers in banking, electronics and the public sector. He studied business administration in the UK and the USA, and earned a Master’s degree in International Economic Relations at the University of Amsterdam. 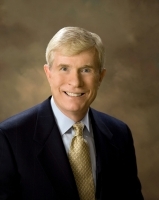 Wallace Leyshon is President/CEO of Heartland Industrials, Inc., an operations consulting and acquisition advisory firm serving the electronics and EMS industry. Mr. Leyshon has served as principal and advisor in several dozen merger and acquisition transactions involving small and mid-sized EMS/Electronics companies. He has also directed turn around, operational and strategic consulting support for small and mid-sized EMS/Electronics companies. Prior to Heartland, Mr. Leyshon spent 22 years as a middle market electronics and ODM Founder and CEO, where he created three global businesses from scratch and grew them to successful enterprises. Prior to this, he served as division general manager for Motorola’s Automotive and Industrial Electronics Group (AIEG), and was responsible for global operations. Mr. Leyshon has extensive expertise in stand alone P&L, financial, supply chain, product engineering, process management, M&A, and a unique ability to understand and manage double digit growth. For each of his companies he directed the establishment of sales and application engineering and multi-production locations in the domestic US, Europe, Mexico, and Asia. Prior to Motorola, Mr. Leyshon held various management and engineering positions at Mobil, KPMG and Inland Steel. He was awarded Illinois Entrepreneur of the Year, by KPMG and the State of Illinois, and his entrepreneurial companies received recognition as Outstanding US Technology Company by Electronic Business Magazine, and 50 Fastest-Growing Technology Companies by Deloitte & Touche. He has been an industry and management practices speaker at: IPC/APACS Conference, Las Vegas; Dataquest Semiconductor Conference, London; University of Chicago, Graduate School of Business; Northwestern, Kellogg School of Business, Elmhurst College; and the MIT Enterprise Forum. Mr. Leyshon earned his undergraduate degree in Liberal Arts and Industrial Engineering from Ohio University, an MBA in marketing and finance from the Kellstadt School of Commerce, DePaul University, and an Engineering Management Certification from Motorola. 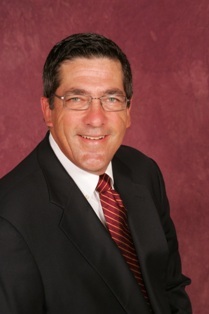 Mike Doscher is a seasoned executive manager in the telecommunications industry. He has broad and diversified experience in strategy, tactics and execution, to ensure the success of start-ups and new ventures inside major corporations engaged in voice, data, wireless, internet communications, hardware, software and services. Mr. Doscher’s specific areas of responsibility have included strategic planning, engineering, operations, provisioning, customer service, business development, mergers and acquisitions and facilities/data center construction in the telecommunications and internet industries. Mr. Doscher has the demonstrated capability to function as a results-oriented catalyst and leader within an organization with a strong technical aptitude and proven ability to quickly learn and adapt to new information, technology and change within technology-driven organizations. He has served at the executive level in leading telecommunications companies like Pacific Bell, BellSouth and Nortel as well as having experience with start-up firms in North America and Asia such as Hutchison Communications in Hong Kong and QuantumShift in California. Mr. Doscher was a founder of an application service provider firm called SageLogic Software and an executive consultant with RHK, a San Francisco-based telecom consulting firm. Mike holds a B.S. in Business Administration from California State University, Sacramento and has completed Executive Development programs at the University of California, Berkeley and Cornell University. Mr. Leone is an independent consultant specializing in business development, manufacturing operations, program management, new product development and outsourcing manufacturing domestically and internationally. He has completed business development, survey and operations engagements with Tier 1 and 2 EMS suppliers and numerous OEMs and small business. 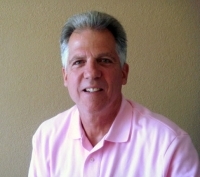 Mr. Leone has over 15+ years of EMS industry experience working with Solectron, Celestica, Pemstar and SMTC. His responsibilities included business development, new product introduction, program launch, operations management and business research. Mr. Leone has led many cross functional teams launching new OEM programs among multiple EMS sites including full system scenarios in Mexico, China, Thailand, Malaysia, Spain and North America. 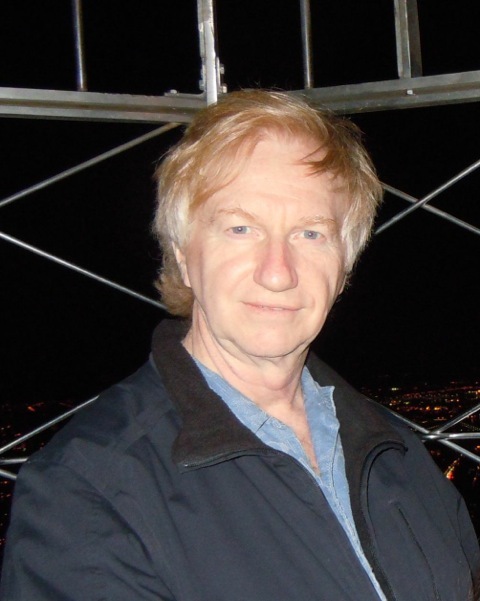 Before entering the EMS field, Mr. Leone worked for Rolm Telecommunications, Lexitron and IBM in various fields including materials, business development, product development, manufacturing and management. Mr. Leone hold a B.S. in Industrial Management (minor in Marketing) from San Jose State University. He has completed graduate courses in business development, marketing, finance, technology, program management, new product introduction and concurrent engineering. 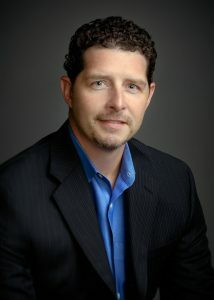 Gary Ogden is an independent consultant focusing on competitive strategy, product development and customer satisfaction. He has conducted numerous customer loyalty studies and strategy sessions for major electronic manufacturing services companies. Mr. Ogden was formerly the Director of Marketing for Solectron Corporation (Milpitas, CA) which was the world’s largest electronics contract manufacturer at the time. His responsibilities included strategic planning, market analysis, new account targeting, and improving customer satisfaction processes. Solectron won the Malcolm Baldrige National Quality Award in 1991, since when Mr. Ogden has given numerous presentations on customer satisfaction to Baldrige-related groups. He was also an examiner for the California Governor’s Golden State Quality Award which is identical to the Baldrige Award. Before joining Solectron, Mr. Ogden served in various strategic planning, marketing management, research, new product launch and sales positions with Hewlett-Packard Company. He has experience in automated electronic test instrumentation, manufacturing automation and computer services. Mr. Ogden earned a Master of Business Administration degree from the University of Chicago with work completed at Stanford University. He also has a Bachelor of Science in Electrical and Computer Engineering from the University of Wisconsin. 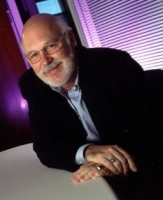 Wally Johnson was one of the founding executives in the successful startup/turnaround of EPIC Technologies LLC, joining the company in 2000 as Vice President, Supply Chain Management. Working in close partnership with COO Jochen Lipp they implemented a synchronous flow manufacturing process supported by kanban material replenishment which reduced inventory and lead-times by 80%, inventory by half, costs by 25% while improving customer OTD (on time delivery) from the mid 80’s to virtually 99.9%. Mr. Johnson built a globally competitive supply chain organization which enabled EPIC to use this foundation to win business in face of international competition and grow from $30M to $280M over the next seven years. He was also responsible for IT and the development of EPIC’s proprietary kanban software which allowed remote personnel to manage signals to and from suppliers through EDI.Mr. Johnson joined Ford Motor Company Electronics Division in 1989 as the lead buyer for Electronic Components for Audio Products. Over the next 10 years he was successively promoted to positions of increasing responsibility and when he left in 2000 he was the lead for worldwide Electronic Component Strategy. In 1984 Mr. Johnson joined a startup machine vision company, Perceptron Corporation (Farmington Hills, MI). as employee number 36 and developed the critical software for calibrating the laser based measurement sensors. He then took on the role of group leader of manufacturing engineering with lead responsibility for their contract manufacturing partner. At the time of his departure, Mr. Johnson was Manager of Operations reporting to the CEO. From 1980 to 1984 Mr. Johnson worked for Westinghouse Electric Corporation, Numa Logic Division in Madison Heights, MI designing programmable controller equipment. Mr. Johnson received his MBA in Finance from The University of Michigan in 1991, a Masters in Computer Engineering from Wayne State University in 1985, and a BS in Electrical Engineering from Michigan State University in 1980.